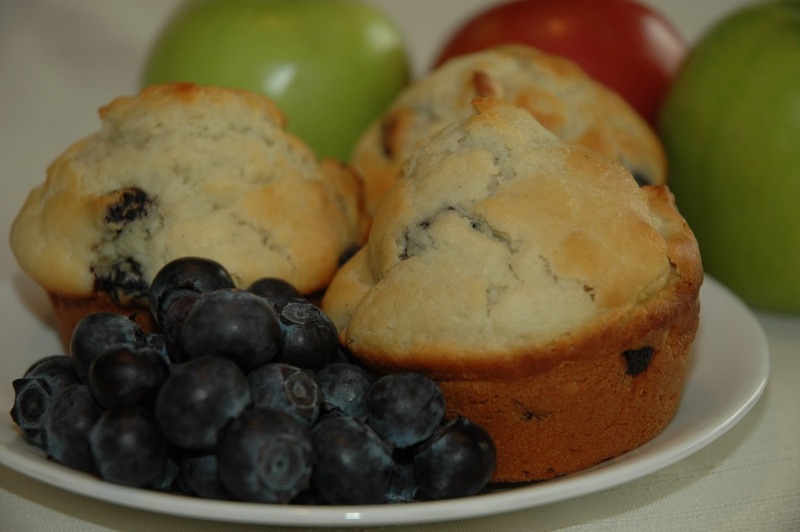 Try out these yummy Apple Blueberry Muffins. Sometimes when I don’t have any blueberries, I’ll just double the amount of apples instead and it still tastes good. 1. Preheat oven to 400 degrees. Line 12 muffin cups with paper liners or spray the muffin cups with a non-stick spray. 2. In a large bowl, beat the egg. Then beat in milk and melted butter until well combined. In another bowl, stir together flour, sugar, baking powder, and salt. Add to the wet ingredients until moistened. Gently fold in vanilla, blueberries, and apples. 3. Divide the batter evenly between the muffin cups. Bake for 22-26 minutes until tops are golden brown and a toothpick inserted in the center pulls out clean. Let muffins cool, then enjoy. I’ve never tried apple in my blueberry muffins before! What a great idea! Thank you so much for linking up with me this week at Tasty Tuesdays! I’ve pinned this & shared it with my followers!